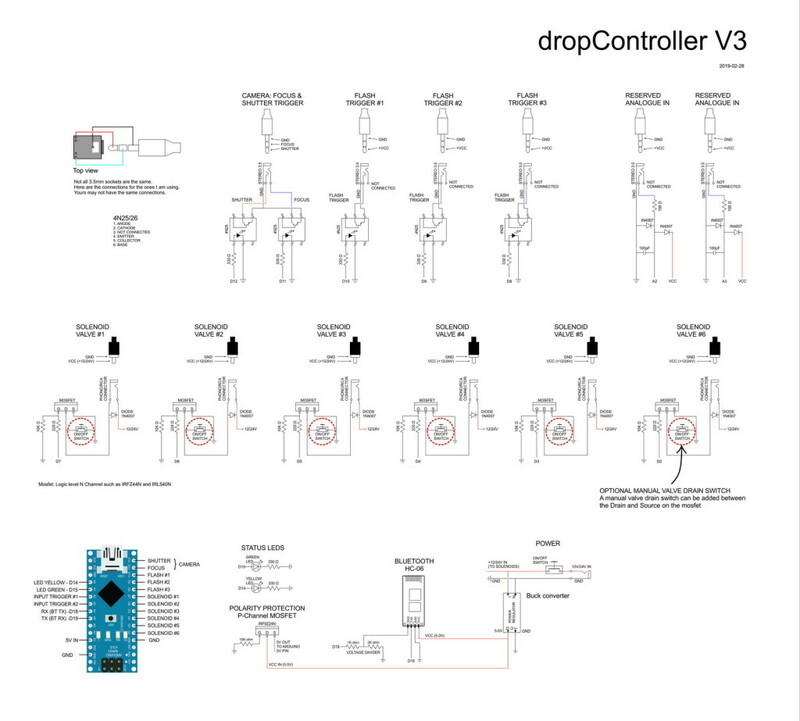 dropControllerV3 is now available in beta version. Download links are on the download page. – 2 flash triggers (can be expended to 3). Third trigger not yet implemented. 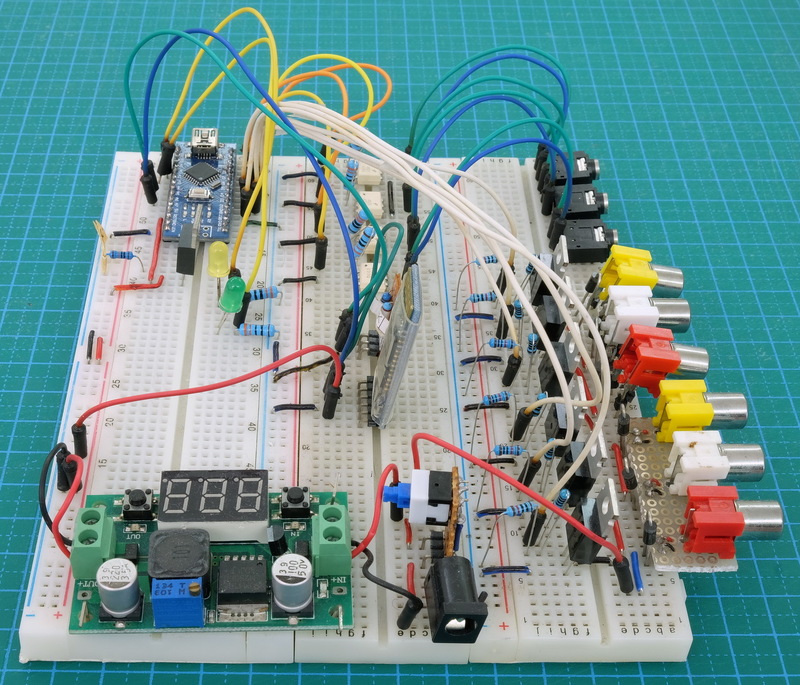 The breadboard version in the photos below does not have the additional inputs. See the circuit diagram for the full circuit. 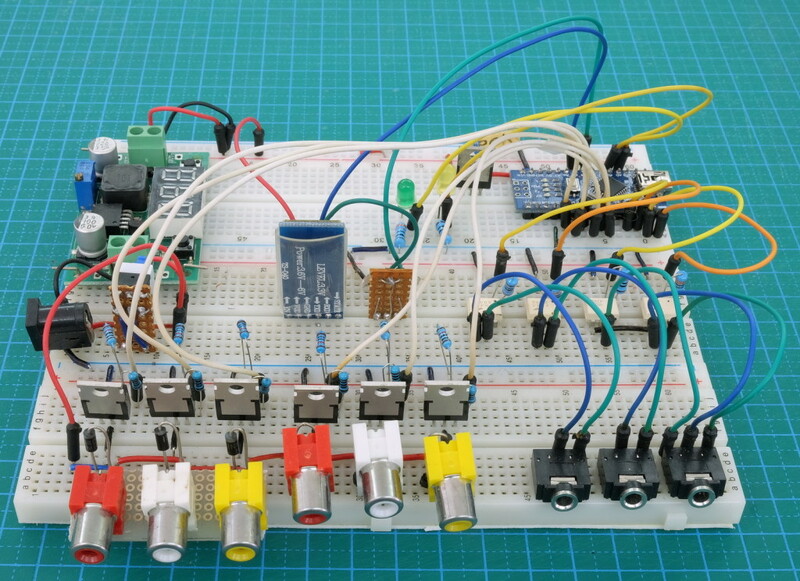 The circuit has 3 flash triggers but only 2 are implemented in the software. 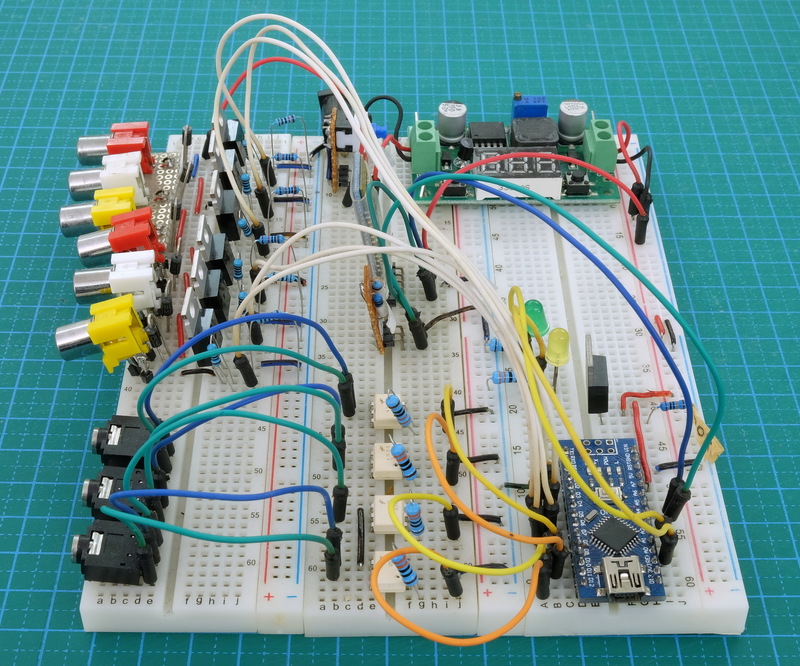 The circuit has 2 trigger inputs which are also not yet implemented. 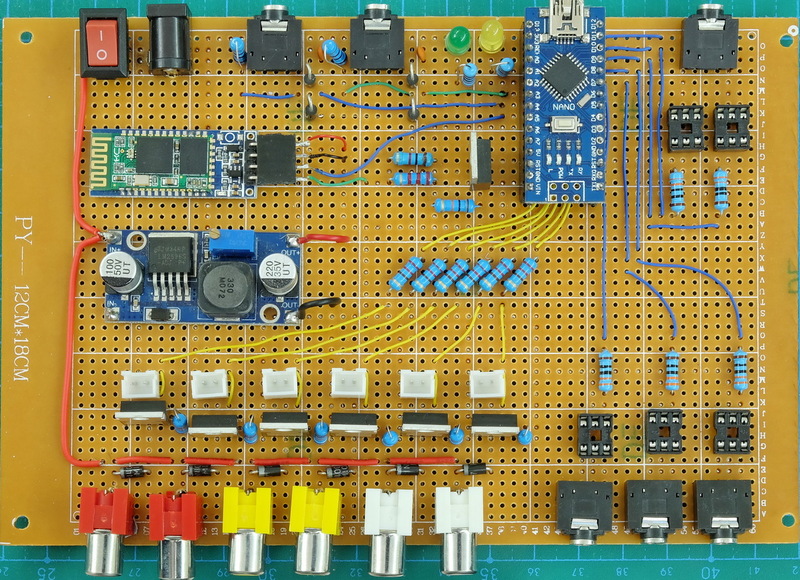 I have just finished the first proto-board version. I am currently testing it and I hope to publish details soon. Surprisingly it seems to work first time which is a first for me. 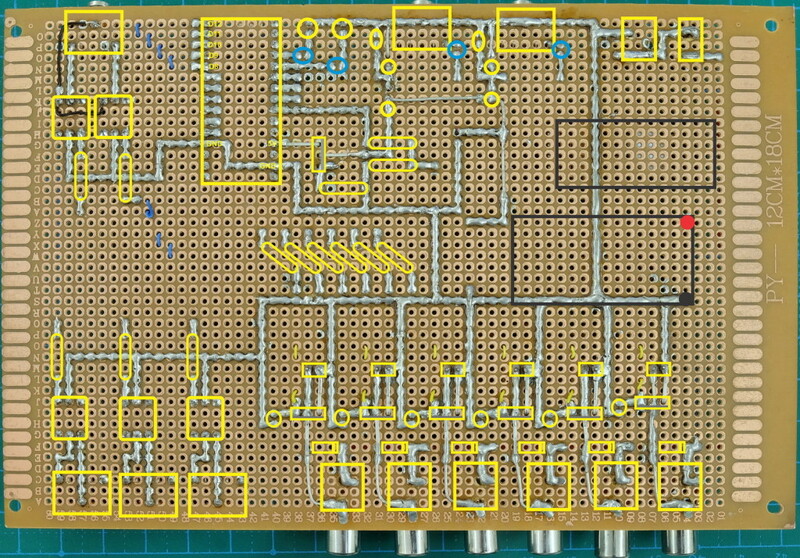 This is board only, no project box. I had been trying to find a box that fits nicely but haven’t found one and got tired of waiting so I started building the first prototype without a box. 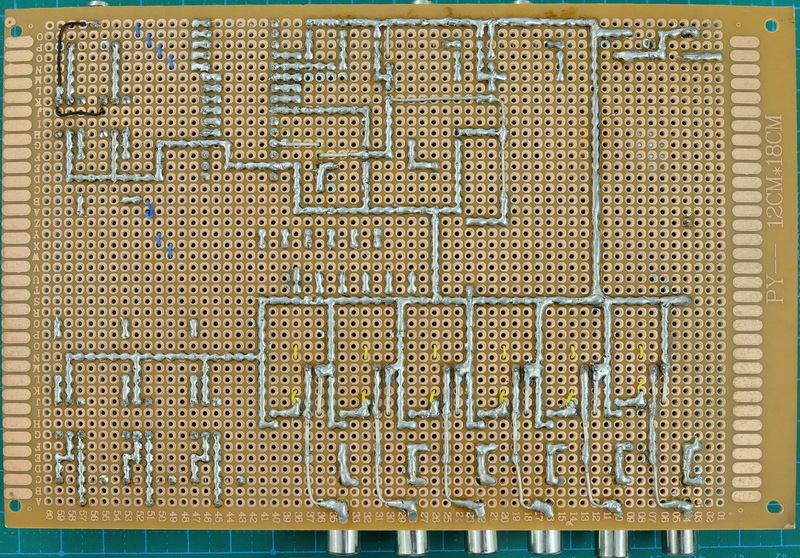 The layout is larger than required but I wanted to give space to make soldering a little easier. 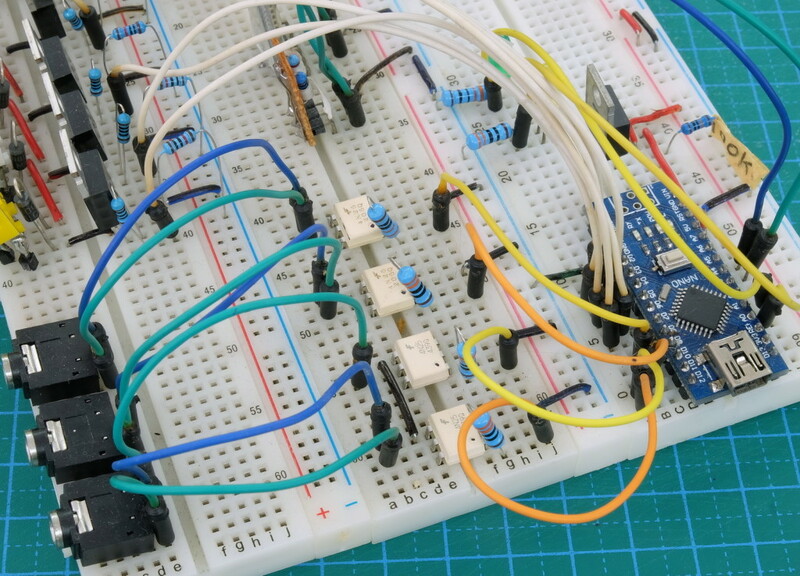 The breadboard photos below show software serial TX on A4/D18 and software serial RX on A5/D19. I have since swapped these around to make the proto-board layout slightly easier. 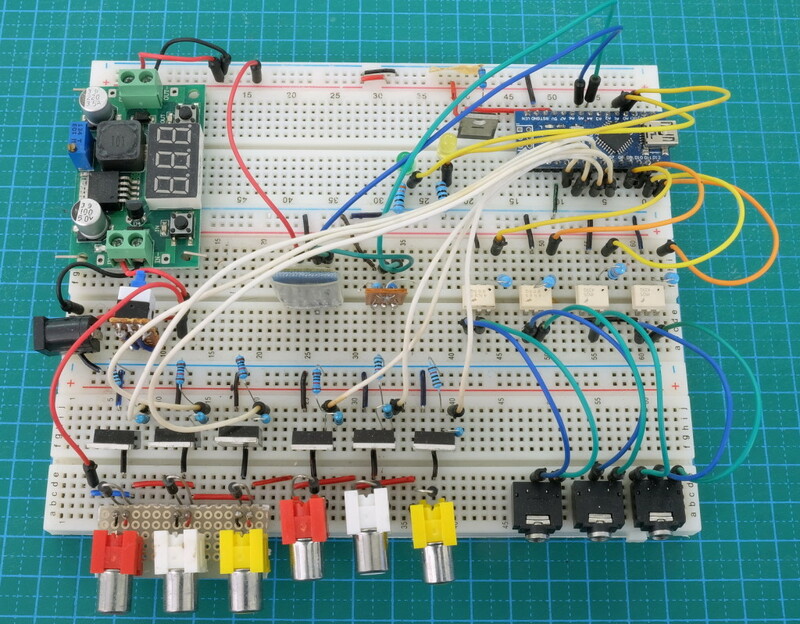 I will update the breadboard photos when I get chance. To switch the solenoid valves I am using IRFZ44N and IRL540N mosfets (both are common and cheap) but anything similar will work. 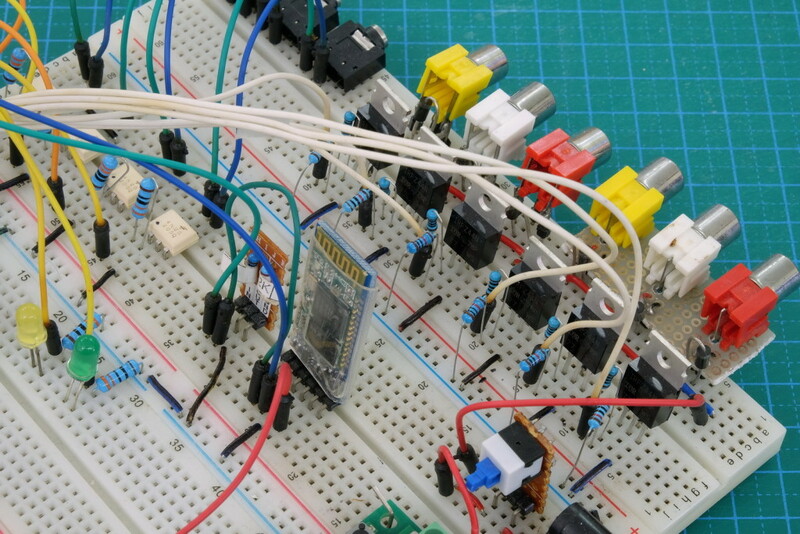 You just need a 5V logic level mosfet with a low RDS(on) value at 4.5v or 5v (ideally 4.5v or lower). I have a list I can publish if anybody wants it. 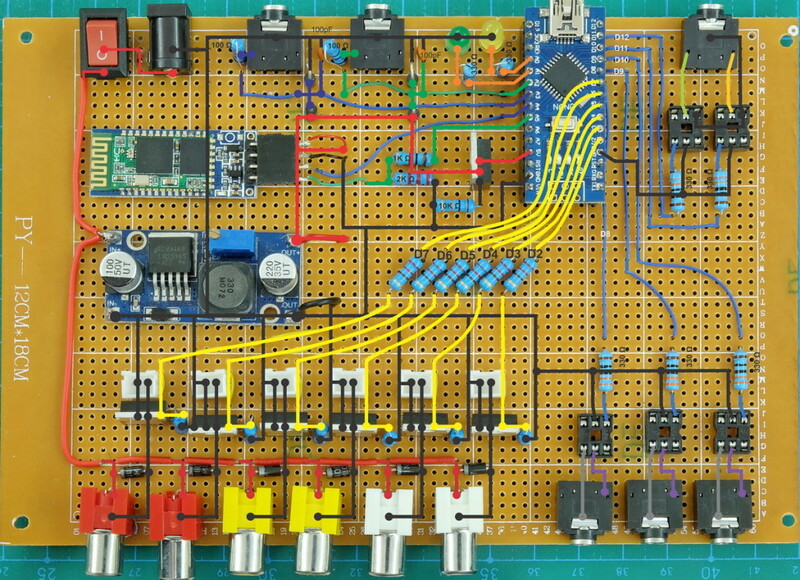 This is the first proto-board version. I use the initial version to make sure everything works and to tweak the layout. This is larger than it needs to be but since I don’t have a project box yet I wanted to use the available space. Some of the components can be moved for better placing. The white 2 pin sockets (connected to the mosfets) allow for a manual valve drain switch to be added. With manual drain switches attached. Drop data controls are the same. Camera and flash triggers can be turned off. Cleaner interface using tabs rather than popup windows. Extra controls for a second flash trigger. Drop time graph – visual guide to the drop times. 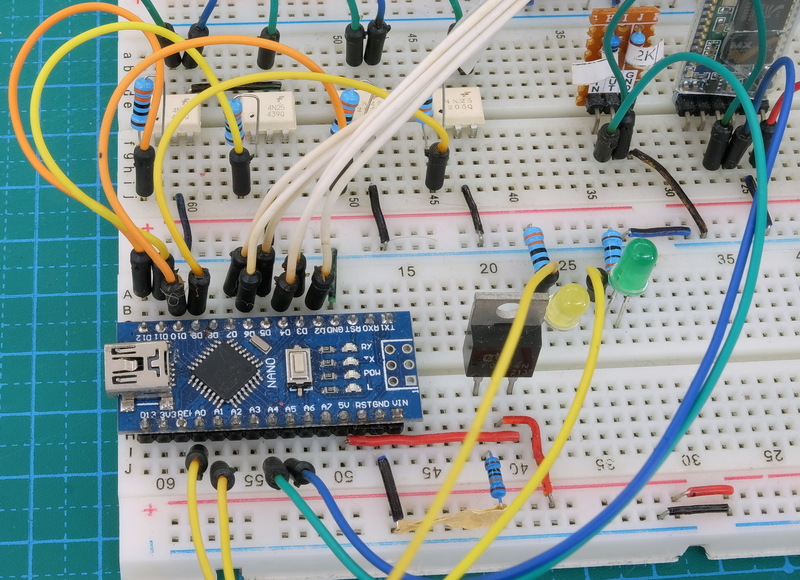 I have a mini guide that explains how to set up the Bluetooth module.